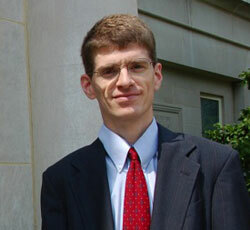 Matthew Levering, who currently teaches theology at the University of Saint Mary of the Lake in Mundelein, Illinois was educated in a Protestant seminary (Duke) yet embraces and articulates a Catholic theology of the relation of scripture and church in how God has revealed the Christian message. What I found most helpful was his thoughtful engagement with a range of Protestant, Catholic, and Orthodox theologians in an exploration that argues both the inspiration and authority of the biblical text and while also contending for the crucial role of the church in clarifying and mediating our understanding of the Word of God we find in the scriptures. We encounter N.T. Wright, Scot McKnight, and Alexander Schememann, as well as von Balthasar and Ratzinger in the pages of this book. Levering begins by discussing the nature of the Church as a missional community founded by the Son and the Spirit, countering the individualism of the post-Reformation church. He moves on to explore the importance of the Church’s liturgy as the context in which the Gospel message of scripture is proclaimed. The hierarchy of the priesthood has been an important in maintaining a unity in our understanding of revealed truth. The Church’s councils and creeds are especially illustrative of this importance. Church councils such as Nicaea clarified the shared understanding of scripture on such important issues as the Trinity and the nature of Christ as fully God and fully human, resolving the contested interpretations of scripture around these issues. 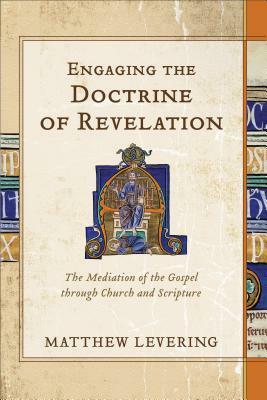 Levering takes on the role of tradition in the transmission of Gospel revelation through the generations and argues against those who see these traditions sometimes in conflict with themselves, believing in the continued work of the Spirit to guide the Church. He contends, along with John Henry Newman, for the development of doctrinal understanding through the history of the church and, against many post-modern approaches, for the possibility of propositional truth, that God reveals God’s self in cognitively understandable terms. His last chapters articulate a high view of scripture’s overall trustworthiness, arguing against those who would differentiate between errant and inerrant portions. He concludes with a surprising chapter supporting the contribution of Greek philosophy to the Christian understanding of God. There was much here I appreciated. I too find troubling personal biblical interpretation gone amuck. I think it is undeniable that the Church has played a crucial role in articulating our gospel faith, drawing on the scriptures. Similarly, there is a recognition of the work of the Spirit of God at work in continuing to develop our understand of the testimony of the scriptures. At the same time, I think there is much more to be engaged in a discussion of tradition and the magisterium. What is to be done when traditions are distorted and the hierarchy is not filled with the Spirit and is advancing what can only be construed as the traditions of humans, particularly at the expense of the Word of God? Is the Church to simply wait for however many centuries it takes for the Lord of the church to right things? I also wish Levering would have talked more about the appropriate use of the scriptures by individuals. Certainly since Vatican II the study of the Bible by the laity has been encouraged. And countless generations of Christians have advanced in their spiritual lives through personal reading and study of the Bible. It seems to me that a place for mutual engagement between Protestants and Catholics would be to explore the relation between our individual and communal reading of scripture and to what degree should we subject our personal readings to the understanding of scripture in the wider community. Levering’s book is a thoughtful contribution to this basic question of how the Church hears and understands God’s word revealed to us in the scriptures. It is Catholic without being anti-Protestant. It is both a book of clarity and conviction and yet an irenic engagement with those who don’t identify as Roman Catholics.